Framed by mountains Palmer is found in Matanuska Valley, about 42 miles north east of Anchorage. It is easy to get to by road and is often a stop for tourists when visiting wider Alaska. In 1935 with struggling agriculture un the US, families travelled to the establish the Matanuska Colony and this is where Palmer was born. Agriculture has continued to thrive in this fertile land and Palmer now provides farm produce across the state. As you can imagine from this description, there are plenty of farms and ranches to see as well as a wealth of interesting history. Due to the location there are also lots of hiking trails and outdoor activities to try too. There’s plenty to see and do here whether you visit during the busy summer months or for the cold exploring during the winter. 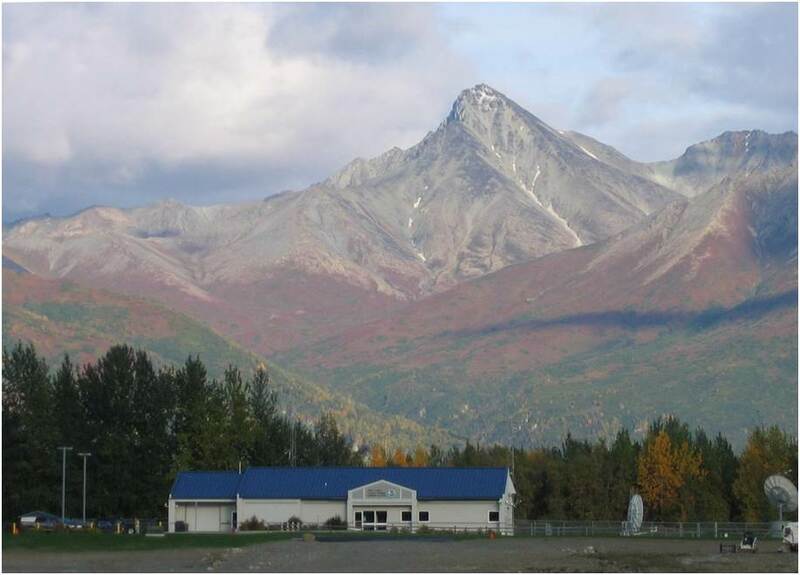 History and nature combined Palmer is a fantastic place to visit and explore in Alaska. Here are some of the top things to do during your visit. 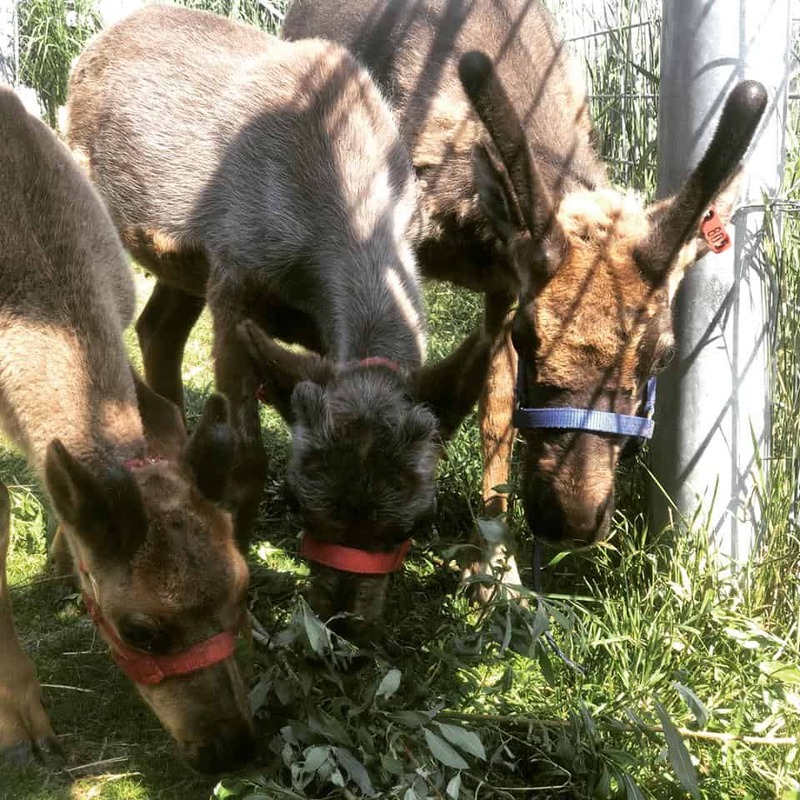 An amazing day out for the family in Palmer, the Reindeer Farm offers lots of activities and combines learning with fun. The children will love the pony rides, tractor and barrel rides, the hay maze as well as the wooden construction site and all the bouncy castles. The best thing about this place though is how close and intimate you can get with the animals that are cared for here. Visitors can hand feed reindeer, moose, bison, yak, and elk. The location is also very beautiful, surrounded by mountains and scenic trails. If you want to visit though you must book in advance, especially in October when they have their Fall Festival. 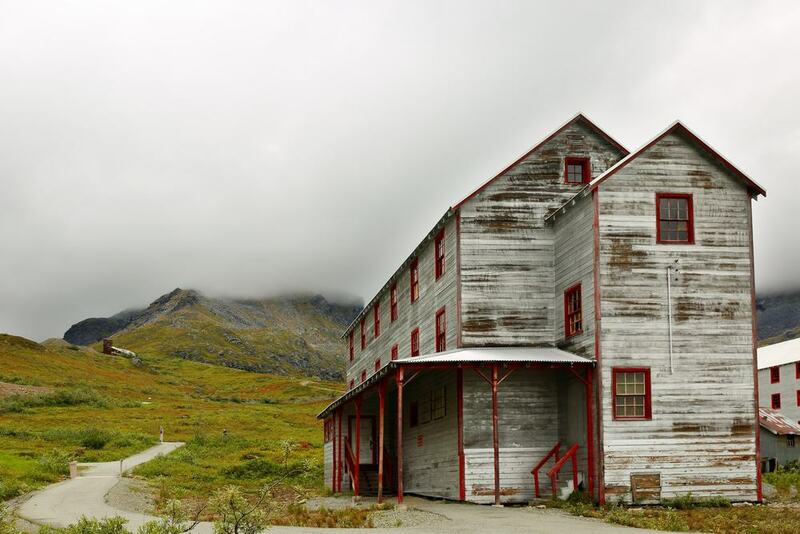 A visit to this historic mine gives you the chance to learn what it was like to live and work in one of Alaska’s largest gold mining communities. In the Mine Manger’s House, you will find the Visitor Center and museum. Here you can explore displays about historic mining, natural history and learn all about the Independence Mine story. Self-guided tours are usually the best way to explore the mine after picking up everything you need from the visitor center. 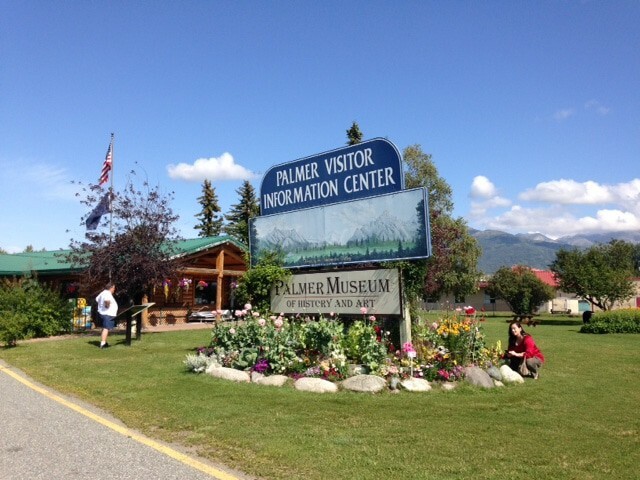 Jam packed with lots of information about the area, Palmer visitor center is a good place to start your exploration of the area. You can stock up on maps of the area and learn about the best things to do from the knowledgeable staff. There are also some lovely gardens here to look around and some exhibits to view as well as a video playing in the lobby. So, you can learn about both historic and modern-day Palmer. Find the visitor center on S Valley Way in the center of town and not far from the airport. 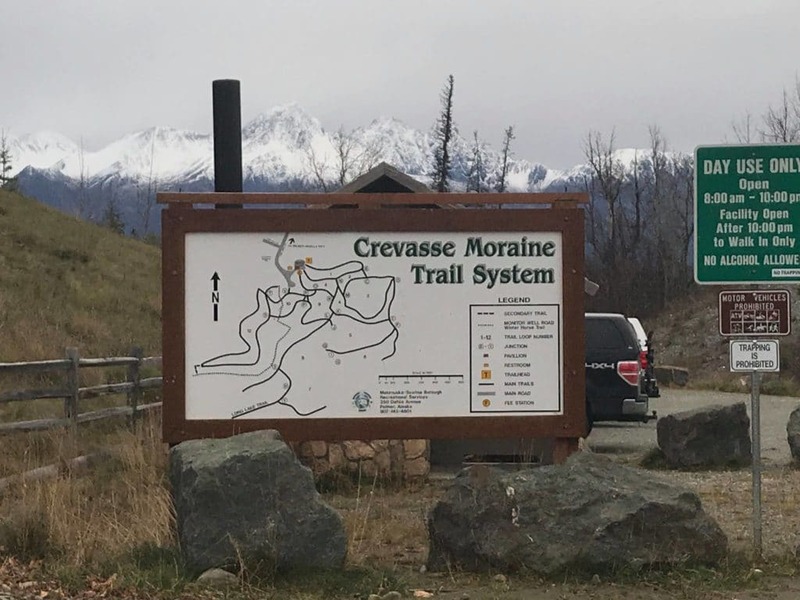 A great trail to take to see the spectacular 360 view of the Matanuska Valley near to Palmer. It is a short hike which only takes a few hours there and back, but you elevate quickly, and your view is from 750 feet. Although the trail is classed as easy there are quite a lot of steps. If you don’t fancy stairs there is a longer less steep route you can take. But both are only for a short time before it opens out to views of the valley. In the summer it is lovely, but you should only hike in the winter if you are very capable and have the equipment to deal with the ice. This gorgeous area can be explored within a day. It will take you a few hours to reach the top depending on how fit you are and how many times you stop to enjoy the scenery. When you reach the top, you can expect beautiful views of the surrounding area. The trail starts at Huntley Road in Palmer where you can park then you can get on to the trail. It is advised that you bring plenty of water and snacks or better still a picnic, so you can stop and enjoy a rest. It is best to take this hike during the summer months which will make the views more beautiful and the walk a little easier. Tours from Palmer offer visitors flightseeing and glacier landing trips which make the most of the Knik glacier and the beautiful scenery. 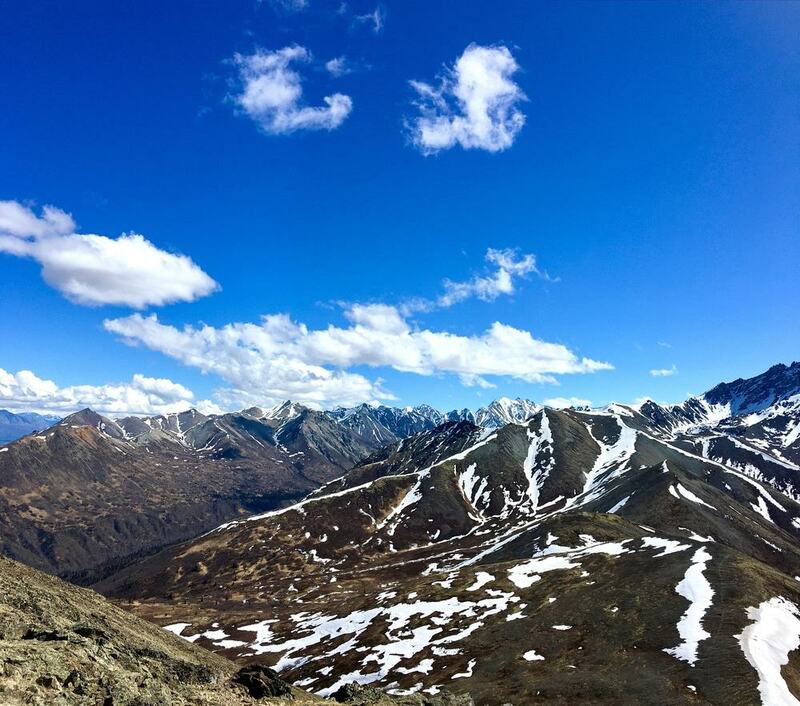 Fly over the Chugach Mountains where you may see wildlife such as moose, mountain goats and bears. Landing on the glacier is an amazing experience. Feeling like you have the whole place to yourself and that you are in the middle of the wilderness. The whole tour takes around sixty to seventy-five minutes with thirty minutes of this to explore the glacier. 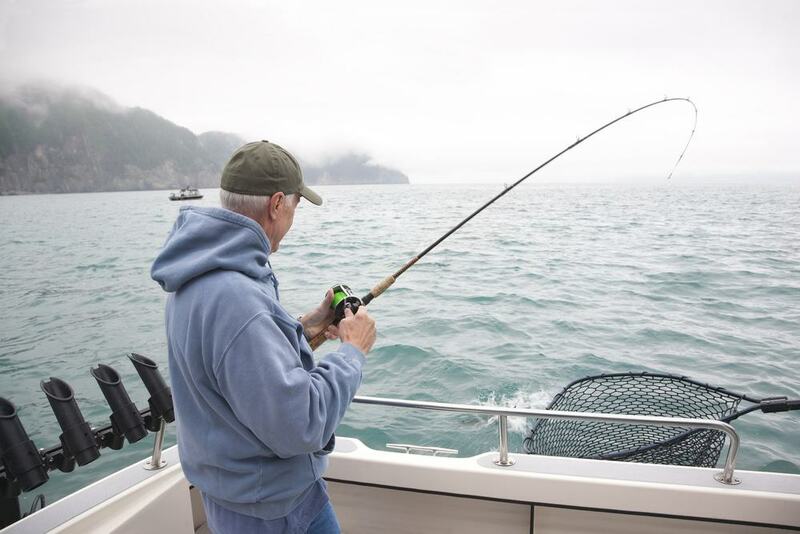 Fishing is big in Palmer and there are plenty of companies that offer guided fishing tours. Whether that be lake fishing, ice fishing or river fishing. Tours vary from one hour to full day tours and offer single or multiple locations. 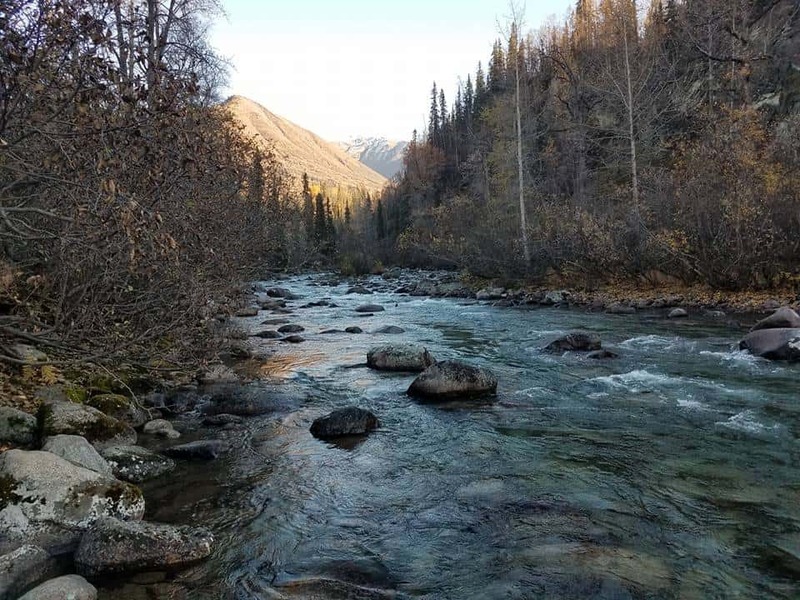 You will visit the best places to find the most fish and discover some beautiful parts of Alaska. The guides are very knowledgeable and will tell you so much about the area before you start your trip and all about the kinds of fish you can expect to find during your tour. This colony house has been returned to its original 1935 -1945 appearance. You will learn so much about Palmers history from both the items in the house and the knowledgeable people hosting the museum. There are locals who were here during the period the house is set so you can get some very interesting real stories from people recalling colonial life. Expect to see some interesting artefacts, including a bread maker and stove in the kitchen, and some lovely Christmas decorations when the house is all dressed up for Christmas. 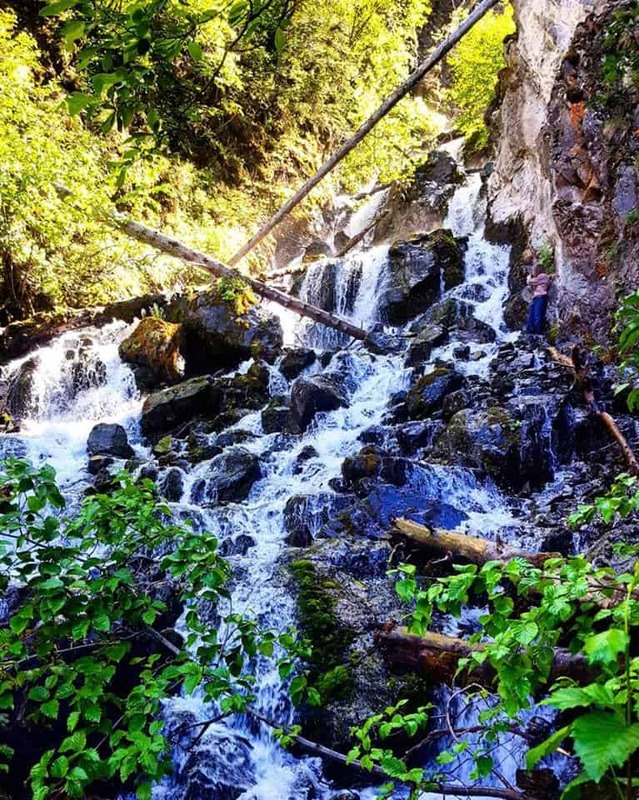 A pretty waterfall not far from Palmer, Pioneer falls is a nice place to visit during a hike in the area. 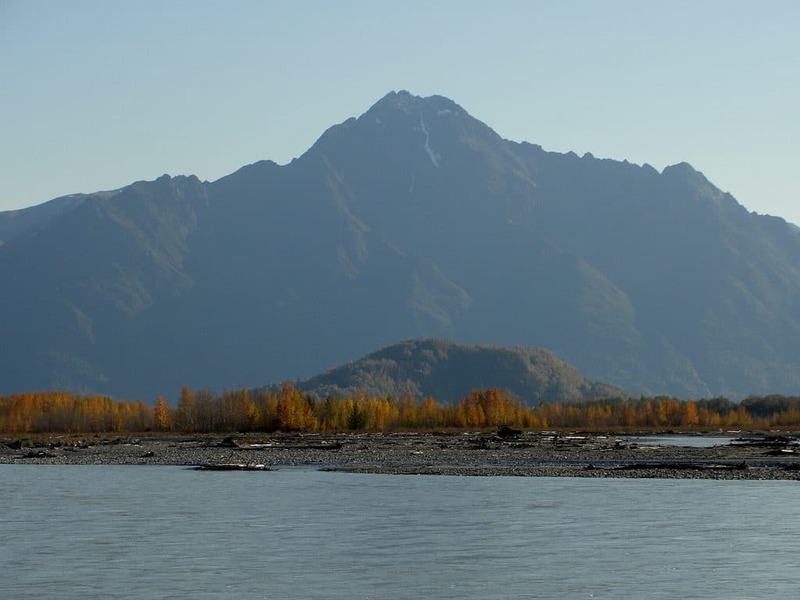 The trail up to the falls offers spectacular views of the Knik Glacier and also the surrounding Chugach mountains. The climb is not easy, and you should be aware that bears and other wildlife could be encountered in the area. Bring along your bear spray and keep yourself safe – being loud helps! This waterfall is not very well known, and you have to look hard for the signposts. But once you find the trail you will be glad you did as the views from here are outstanding. A brewery tour lasts about thirty minutes and you get some samples of the locally brewed beer and a 6 oz pour of any beer on tap. Enjoy the tastings and learn about how the beer is made, the process and the history behind the brewery. You do not have to take a tour though, you could just stop by to try some of the beers and perhaps take some away with you. On North Mountain Trails Drive the Government Peak Recreation Area will not disappoint when it comes to breath taking scenery. There are so many activities you can enjoy including hiking, biking, skiing during the snowy months and kids can make use of the playground too. The trails are maintained and well sign posted so it is easy to navigate your way around the area. A favourite with families is the sledding hill which is full or kids and their sleds when the snow covers the ground. The Sunderland Ranch offers excellent horse trail rides for visitors of all ages. You can choose from horseback riding lessons, camp or just a visit to see how the ranch works. 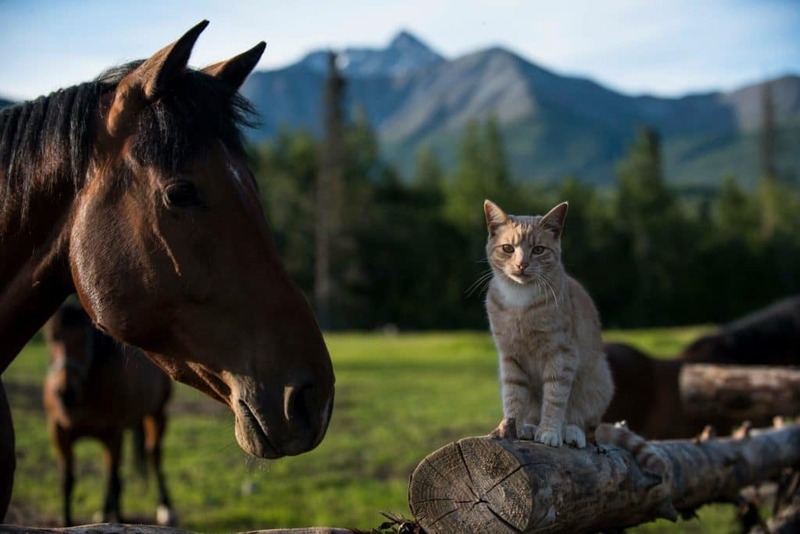 Those who run the ranch are patient and friendly with all visitors. They are also extremely knowledgeable and professional about the horses and about teaching horsemanship. Beginners can learn slowly taking easy rides through the gentle trails. But if you are a keen rider you won’t be disappointed either, there are more difficult trails and faster rides that can be taken within the ranch and wider area. Your tour guide will be one of the scientists who works at the center and tour groups are actually quite small. After learning from power point and video presentations you are shown the main part of the facility and can view the many computer monitors and maps, watching live earthquake data come in from all over the world. The center operates 24/7 and it is very interesting to see how scientists are tracking the earthquakes and volcanic activity around the world. 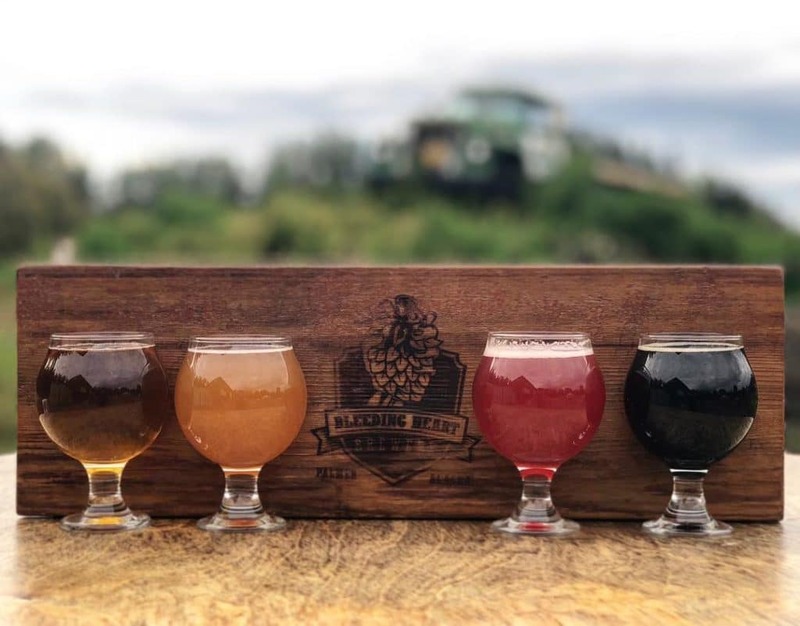 Bleeding Heart Brewery is Alaska’s smallest production brewery. 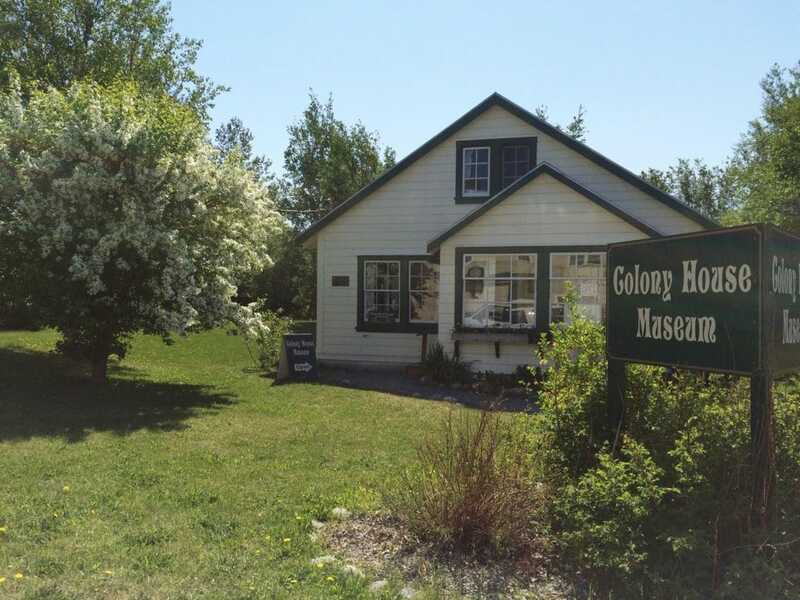 You will find the place on an original colonial homestead farm with in Palmer. 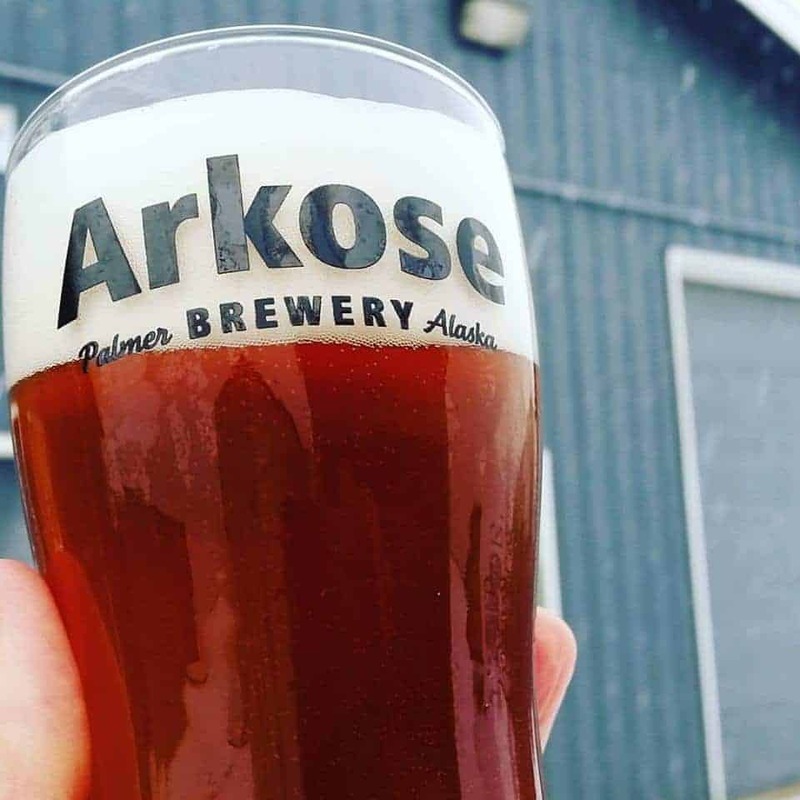 The mission is to create high quality and unique ales and lagers to the Palmer community and beyond. They also pride themselves on pushing the limits of craft brewing in Alaska. Take a tour of the brewery and tap room whilst sampling some of the best beers the bleeding heart has to offer. If you are peckish whilst here there’s a food truck outside where you can grab a bite. You can enjoy these trails during both summer and winter, although they will of course be different experiences. There are lots of different routes to take depending on your time and ability. But whatever route you choose to take, you can have a fantastic time getting fit and enjoying the beautiful landscapes. It is also a dog and family friendly place.